The Sportlam Celest Ski Jacket is made for the slopes but looks like it was designed for the runway. This bold and statement-making luxury winter jacket has performance ski features like dual 20K waterproofing and breathability ratings. The Celest Jacket goes above and beyond with refined, modern style, with a black and white houndstooth pattern and color-blocked sleeves. An elastane fabric blend and softshell side panels create an eye-catching, comfortable luxury jacket. "If I remove the hood can I attach the fur alone to the jacket?" 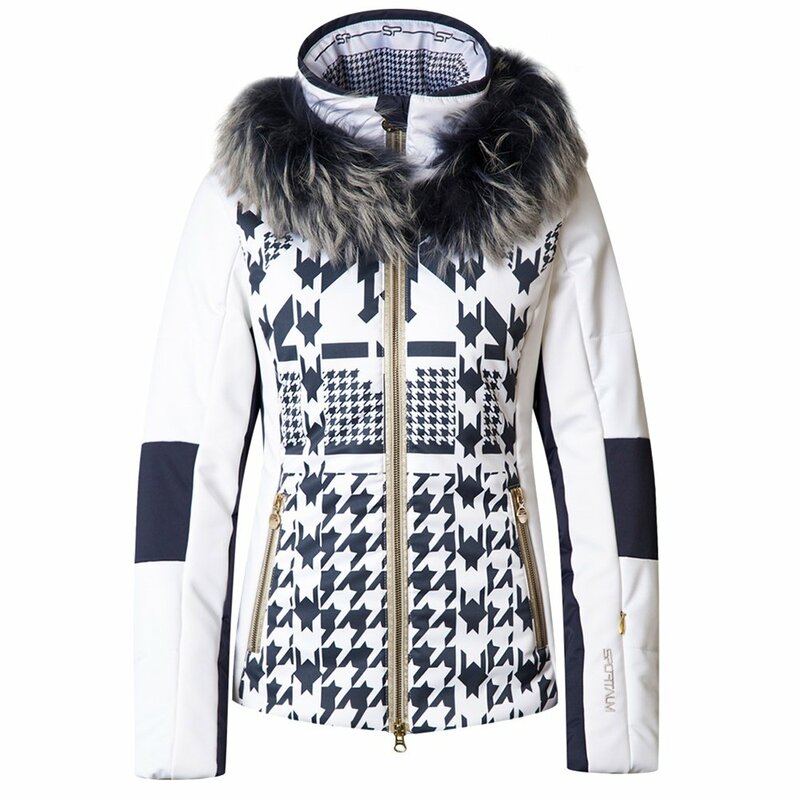 "The fur is attached to the removable hood on the Sportalm Celest Insulated Ski Jacket with Fur. You cannot attach the fur to the jacket. Hope this information helps!" "Is this white with navy or white with black?" "The Sportalm Celest Ski Jacket is Snow White with Navy. The fur is also White and Navy. Hope this information helps!"